The Holnemvolt Storytelling Festival is the first (and, to date, only) international storytelling event in Hungary. A small group of devoted, story-loving people started it in order to promote international storytelling in Hungary, and introduce master tellers from other countries to Hungarian audiences. Storytellers performing on the Holnemvolt stage are asked to tell in their native tongue; performances are accompanied by creative interpreters who translate the stories to Hungarian. We wanted audiences to be able to hear the tales in their original form, and at the same time enjoy their meaning as well. Most people in Hungary associate storytelling with children; for that reason, we decided to focus on the often neglected teen and young adult audiences, in order to widen the reach of storytelling in Hungary. We ask our tellers to bring complex, varied materials to the festival, and in order for our audiences to enjoy the performances uninterrupted we decided to set the minimum age for attending the festival at 14. We plan on expanding the festival schedule to children’s programs in the future. 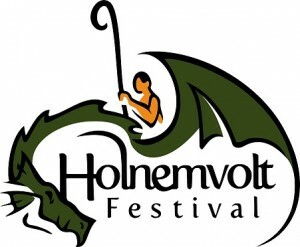 The first Holnemvolt Festival took place in Budapest in 2011 (March 12-13). It was followed by a second festival in 2012 (April 13-14). The festival of 2013 was cancelled due to lack of funding. We decided to start the Holnemvolt Storytelling Foundation in order to create a new basis for future festivals. The next Holnemvolt Festival is planned to take place in Budapest in the spring of 2016. Click here to find the list of featured storytellers from past festivals.